This past summer, I staffed a Birthright trip as a member of the iCenter’s Birthright Israel Fellows program. While in Israel, I extended my trip and traded my Birthright hat for my Federation hat, taking the opportunity to meet with some of the amazing nonprofits the Jewish Teen Foundation (JTF) boards have funded in recent years. While most of our local grantees are able to come to board meetings and the annual grants celebrations, this was a chance to see the programs our teens have researched, fundraised for, and selected as grantees. I was excited to see the projects in action, connect with the staff, and experience Israel. Israel’s reputation as a “Start-Up Nation” was confirmed right from the start when I used Get-Taxi, the Israeli version of Lyft or Uber, to visit Ethiopian National Project (ENP), an organization funded by both the Marin/San Francisco and South Peninsula Jewish Teen Foundations. ENP’s mission is to enable the full integration of Ethiopian-Israelis into Israeli society. For two years, JTF teens have chosen the scholastic assistance program to help children (and their families) break out of a cycle of poverty. Arriving at the ENP office in Tel Aviv, I was greeted by Grace Rodnitzki, their Director of International Relations, who had prepared herbal tea she had grown in her own garden. Grace had arranged for me to meet some students who had participated in the JTF-funded program. It was humbling to hear them share their stories. I had a particularly moving conversation with Mastrual, an 18-year-old girl who had been a part of ENP's programs for the past four years, along with her three brothers and one sister. Mastrual made it very clear to me that this program was the main reason she made it through high school. “ENP allowed me to not only improve my grades,” she told me, “but helped me teach my parents Hebrew and English.” Like Mastrual, many Ethiopian Israeli youth come from homes where Hebrew and/or English isn’t spoken at all. Many of their parents never learned to read or write in Ethiopia, so they are unable to support their children’s educational success in Israel, even though they want to. 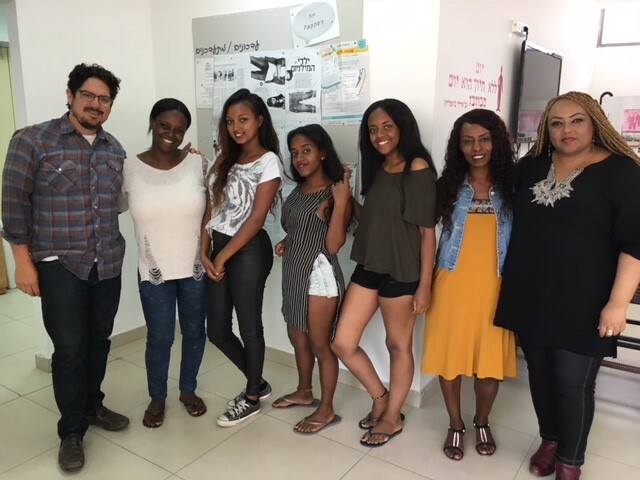 By providing tutors, translators, and sometimes even basic food support, ENP helps hundreds of Ethiopian Israeli students around Tel Aviv get on a better path. 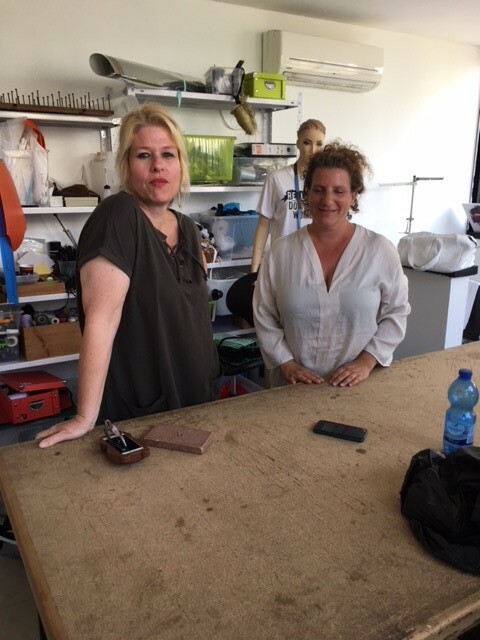 Three hours later, I was on my way to visit Leemor Segal, our contact at Turning the Tables, an incredible innovative nonprofit that helps women exiting prostitution by giving them skills, mentorship, and opportunity for a livelihood in the fashion industry. They have been funded by all three JTF boards, and twice by the North Peninsula! Leemor explained that human trafficking is a serious problem in Israel, affecting native Israeli women, Russian immigrants, and African asylum seekers. Turning the Tables’ work focuses on job training, emotional support, and drug rehabilitation. Today, they help more than 300 Jewish, Israeli women by providing monthly meetings, trainings, and free full medical services. I learned that though they are expanding their work to their third city this year (Haifa), they still struggle to get government funding because it shines a light on uncomfortable issues. During my site visit, Leemor showed me around the textile design and work spaces provided to each woman in the program. She explained that many of the women come to the program with nothing, with their self-esteem and confidence shattered. Having their own work space paired with encouragement to create useful, marketable products, fosters not only self-sufficiency, but self-worth and personal responsibility. Walking through the studio, I could see the uniqueness of each station and how each participant expressed her newfound talents. It was a powerful feeling knowing I had been part of a group of teens who had applied their own creativity to help make this life-saving work possible. As the project director for the North Peninsula JTF, I knew my group last year was very passionate about their grantee, Israel Gay Youth (IGY), and would be excited to hear more about them. IGY is the only nation-wide organization serving LGBTQ youth in Israel, including Orthodox Jews, Arabs, and every part of this diverse society. They run educational programs and dozens of social groups for over 2,000 teens in over 30 cities around the country. At IGY’s headquarters, attached to Tel Aviv’s LGBTQ community center near the Meir garden, I met their development coordinator, Liana, and Maria, IGY’s lead coordinator for their trans support groups. We sat down and chatted in one of their teen meet up spaces, which was designed and run by some of their trans youth participants. The room reminded me of any youth group room in a synagogue back home, with casual, mismatched furniture and coffee bar (and the addition of a rainbow flag table in the middle of a circle of couches). It was a typically hot, summer day in the city and we sat on a giant, beautiful balcony overlooking the park. Maria told me that before IGY, almost all LGBT support services were centered solely around Israel’s largest cities in the center of the country (Tel Aviv and Jerusalem). One way Israel is different than the United States is that you can’t move away from a small town to the big city and disappear or lead a second, private life. Everyone is connected in this small country (the size of New Jersey)! Because of this, IGY has put a lot of its energy into training facilitators and mentors, enabling them to expand beyond the big cities to start support groups all over the country. As a result of this, they have been able to reach 800 trans teens in the last four years. 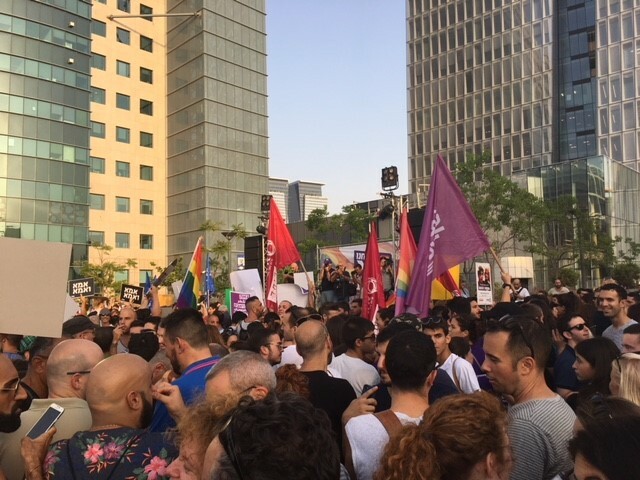 Though Israel is the most LGBTQ-friendly government and culture in the Middle East, IGY still faces resistance from religious political influences who want to see their work defunded. And, prejudice in schools and communities is still very real and isolating for youth. Sitting with Maria and Liana for a couple hours under the shade structure, I felt right at home with people dedicated to creating a safe space for teens and empowering minority youth to build their own communities. I have been to Israel seven times before; as a teenager on a USY program, as a Birthright trip leader for college students, and for two professional development seminars. But this visit to this beautiful country has provided me the opportunity to meet Israelis on a uniquely personal level. The people participating in JTF-funded programs are among the country’s most vulnerable. It is said that the true measure of any society can be found in how it treats its most vulnerable members. From my work at the Federation and with JTF teens, I had the privilege to meet the Israeli heroes dedicating their life work to immigrants, victims of domestic violence, Arab-Israelis, and emergency response. All of these organizations are on the front lines making Israel a safer, more equitable, and just place for all. And as a Jew living in America, I love visiting Israel to reconnect with friends, savor the best falafel, enjoy a great beach day or the sweetest of Shabbats. As a Jewish professional working with teen philanthropists, tzedakah is another way I connect to this land and its people, fulfilling a deep feeling of responsibility to the global Jewish community and being a part of shaping this nation of ideals, faith, and challenges. This latest visit gave me a deeper insight into some of the social justice issues that Israel is grappling with, and a greater appreciation for what Israelis are doing to protect civil rights, promote democracy, and transform our tzedakah into tikkun olam. It is work that transforms all of us who play a part in it; Liana, Leemor, Grace, myself, the JTF teens, and everyone who has supported their grantmaking. It was an honor and a privilege to tour the country in this way and I can’t wait to return and see even more JTF and the Federation's work in action. Daniel Farkas is the Project Director for the North Peninsula Jewish Teen Foundation. Learn more about the Federation's Jewish Teen Foundations.